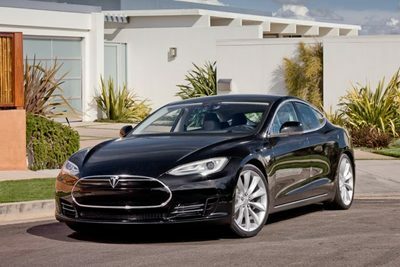 Palo Alto, California, USA - August 15, 2012 - Tesla Motors (NASDAQ: TSLA) today announced pricing for Model S in Canada. Canadian customers can choose from one of three battery pack sizes, with the base 40 kWh battery pack Model S starting at $64,500 Canadian dollars (CAD) before provincial tax rebates, as may be available. 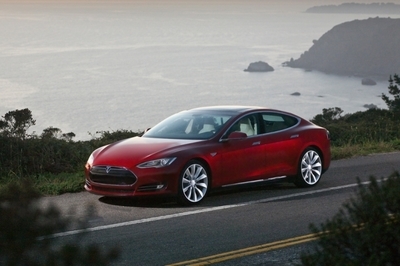 Model S with the 60 kWh battery pack and 85 kWh battery pack will start at $75,200 and $85,900 CAD respectively. Tesla Motors (NASDAQ: TSLA) today announced pricing for Model S in Canada. Canadian customers can choose from one of three battery pack sizes, with the base 40 kWh battery pack Model S starting at $64,500 Canadian dollars (CAD) before provincial tax rebates, as may be available. Model S with the 60 kWh battery pack and 85 kWh battery pack will start at $75,200 and $85,900 CAD respectively. George Blankenship, vice president worldwide sales and ownership experience. Option pricing has also been kept very straightforward. In Canada, all models will include heated seats and choice of décor as standard equipment. Model S in Canada will also include the game-changing 17" touchscreen, 19" wheels and a Mobile Connector with three adapters as standard equipment. Tesla’s Canadian pricing configurator, showing all pricing and options, will be available on its website in the next few days. Model S comes with three battery pack options to fit the unique needs of different drivers. 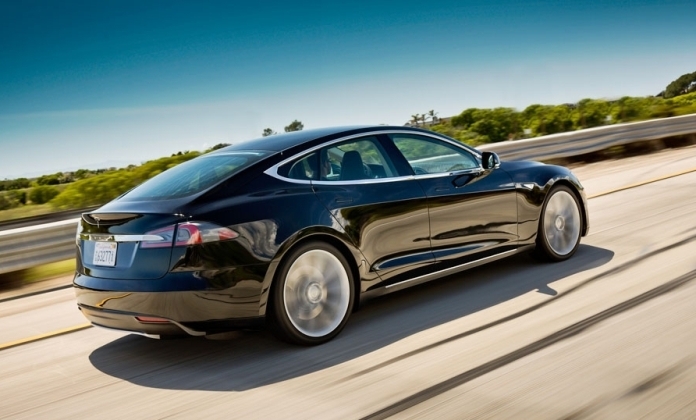 The 85 kWh Model S has received a U.S. fuel economy rating of 89MPGe and a range of 265 miles from the U.S. EPA. Fuel economy ratings from Environment Canada are still pending. 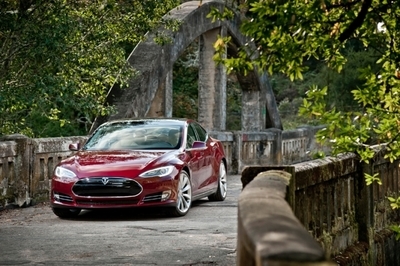 Model S is the first premium sedan designed from the ground up to take full advantage of electric vehicle architecture. A revolutionary powertrain sits under the floorboard of Model S, creating an ultra-low center of gravity. 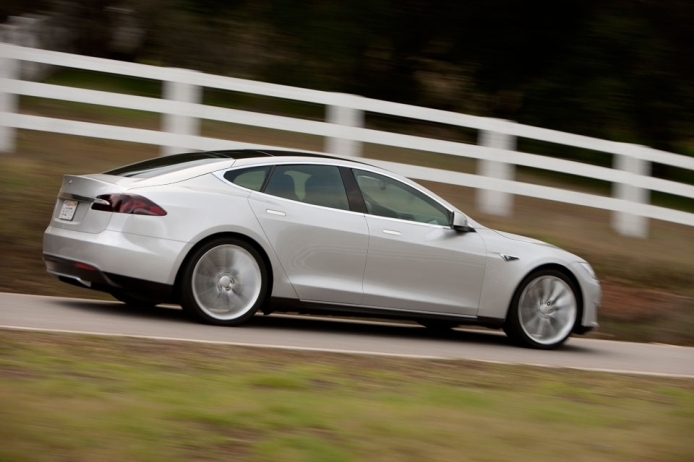 Paired with an aluminum body engineered for superior handling, Tesla has created a vehicle that will raise the bar for vehicle handling and efficiency while meeting the highest standards for safety. 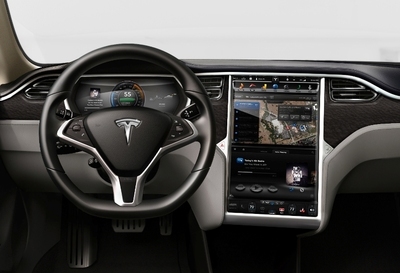 Tesla Motors is the first company to ship the Tegra VCM, enabling intuitive, interactive, high-resolution visuals inside its vehicles. The Tegra VCM is a complete computing platform that delivers superb 3D graphics and multimedia capabilities. The Tegra VCM features the world's first mobile superchip, which integrates a multicore ARM CPU, an ultra-low-power NVIDIA GeForce® GPU and dedicated audio, video and image processors. Model S seats five adults and two children in optional rear-facing child seats. 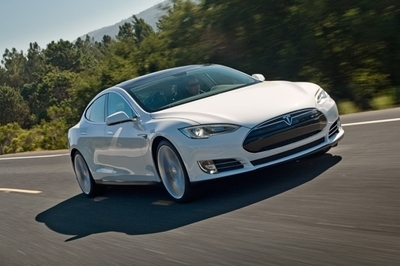 The Performance Model S accelerates from 0 to 60 mph in as little as 4.4 seconds. The interior features a 17” in-dash touchscreen with internet capabilities, allowing for streaming radio, web browsing and navigation. More than 12,200 reservations have been made worldwide for Model S.
Deliveries to Canadian customers will begin later this year. Meanwhile, Tesla will be opening its first new-design Canadian store in Toronto this November. 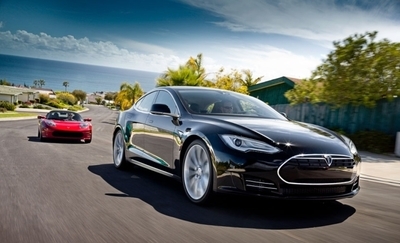 Tesla’s goal is to accelerate the world’s transition to electric mobility. Palo Alto, California-based Tesla designs and manufactures EVs and EV power train components for partners such as Toyota and Daimler. 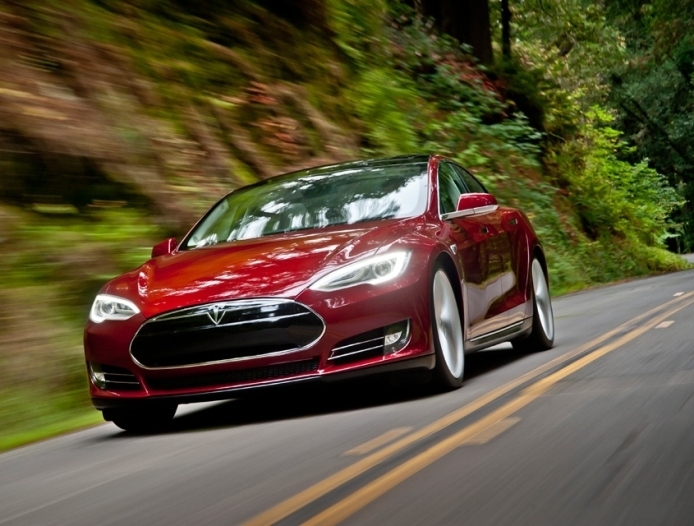 Tesla has delivered more than 2,350 Roadsters to customers worldwide. 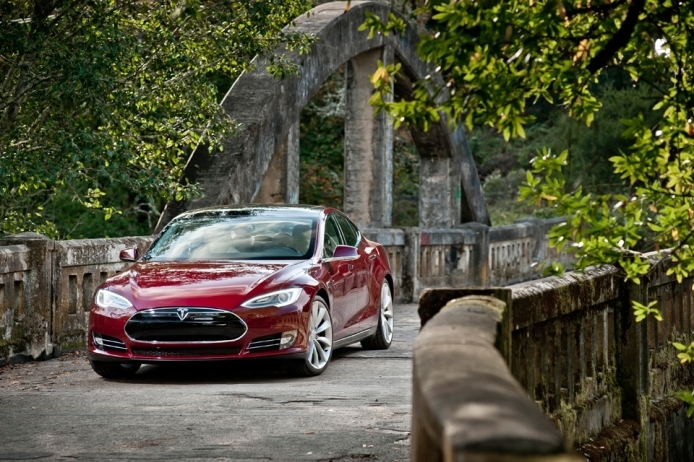 Model S, the first premium sedan to be built from the ground up as an electric vehicle, began deliveries in June 2012. 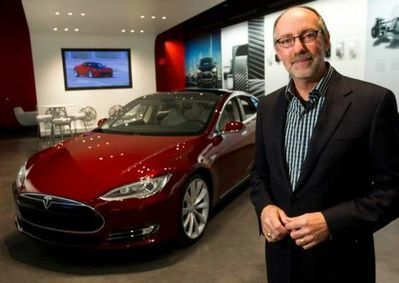 George brings to Tesla three decades of retail and design experience at the world's hottest brands. Best known as the chief strategist behind Apple's revolutionary retail stores, he fundamentally changed how people shop for consumer electronics. 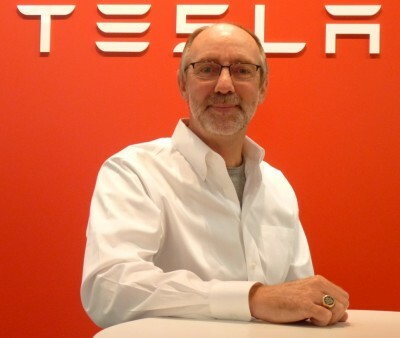 George joined Tesla in 2010 and plans to do the same for the automotive industry. As Apple's Vice President of Real Estate, George created one of the most successful, brand-bolstering retail growth plans in history. Taking what he calls a "Smart Growth HitList" approach to international markets, he spread Apple’s influence across Asia, Europe and North America. Apple's retail savvy was repeatedly praised by Fortune Magazine, among others. His global growth experience is especially applicable as Tesla continues to open new, innovative stores around the world. Prior to Apple, George served as Vice President, Retail Strategy for Gap Inc. He launched his career there as a store manager and over the course of his 20 year tenure held positions in Operations, Real Estate, Store Design, Construction and Strategy. During his time in Store Design and Construction he oversaw the opening of more than 250 stores per year. He also established an energy efficient and environmentally progressive retail growth strategy. At Tesla, George's goal is to re-imagine the way people buy cars, forgoing the traditional dealership model in favor of stylish, consumer-focused showrooms. In his free time, he enjoys photography, golf, snowboarding, travel and spending time with his family.